The new-to-market L.L. Bean Ultralight Sleeping Bag is the first to use an innovative PrimaLoft insulation that blends aerogel with traditional fibers. Ready or not, aerogel is about to become a common insulator in outdoors equipment. Case in point: The L.L. Bean Ultralight Sleeping Bag. Why is this a big deal? Well, aerogel is the lightest insulator on Earth. 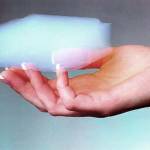 Known as “solid smoke,” aerogel weighs almost nothing. 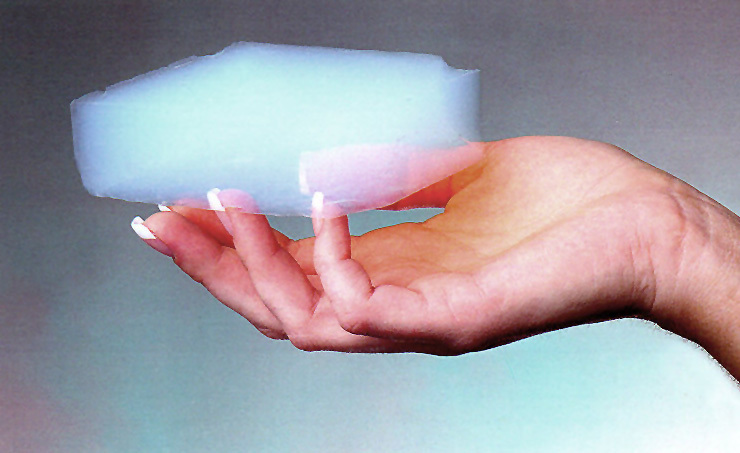 For context, it would take about 150 brick-sized pieces of typical aerogel to equal the weight of one gallon of water! Investigated for years, aerogel is making strides in outdoors gear this year. At the recent Outdoor Retailer show, we saw it in gloves, jackets, and more. L.L. Bean’s embrace of aerogel in its Ultralight Sleeping Bag marks a major push to develop the insulator as a widely accepted, versatile outdoors product. The Ultralight Sleeping Bag incorporates a new-to-market insulation called PrimaLoft Gold with Cross-Core. It comes in a few models, including 20- and 35-degree mummies as well as the 20-degree rectangular bag (below). On weight, it competes favorably with a down bag. The 20-degree sleeping bag weighs 1 pound 15 ounces – about par for the product category. In the pack, it compresses to about 14 inches by 6.5 inches and has a 20-denier ripstop nylon shell. For comparison, a similarly priced Big Agnes Mirror Lake with 600-fill Downtek down weighs in at 2 pounds 11 ounces, although the down bag compresses slightly smaller (8 inches by 10 inches). Could 'Aerogel' Create Thinnest, Warmest Jacket Ever? Significantly, L.L. Bean claims that the mid-loft ultralight insulation “retains much of its insulating ability even when compressed.” This departs from most insulations, particularly down, that lose insulating properties when compressed. Aerogel insulation works in unconventional ways. Very thin layers of aerogel add as much insulation as much thicker layers of traditional insulations like down or fleece. Originally developed by NASA, silica aerogel is a highly porous, low-density structure that blocks heat and cold like nothing else. But it has some serious limitations. It does not breathe, and it cannot get wet or will break down. PrimaLoft Gold Insulation with Cross Core is the first product to combine aerogel with other fiber technologies for use in a batted insulation. Ostensibly, this means that PrimaLoft encapsulated the insulation, and achieved greater breathability, thanks to the lofted dynamic of fiber-filled battens. It’s been a long time coming, but it seems like aerogel is soon to be a common component among outdoors gear. From what we saw at the Outdoor Retailer convention, you will soon see it used in small quantities in places like glove fingertips and boot toe caps. 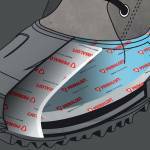 And it finds a natural application in boot insoles and other places that do not need to breathe. Outdoor Research will introduce the substance in a glove for fall 2018. Also coming to market in 2018, the Merrell Thermo Rogue boot will use aerogel to insulate the toe. But for 2018, L.L. Bean is the exclusive partner with PrimaLoft’s development of the insulator. The brand will also launch PrimaLoft Gold with Cross-Core in its Packaway line of coats, jackets, and vests, available spring 2018. Then, the technology will be available across the industry beginning in 2019. We’ve not yet tested the sleeping bag but expect a high warmth-to-weight ratio. In fact, PrimaLoft claims an 11- to 52-percent increase in warmth per weight. Other aerogel-insulated products we’ve tested worked well, although some, like the Oros Jacket, were beset with other problems that overshadowed the effective insulation. The L.L. 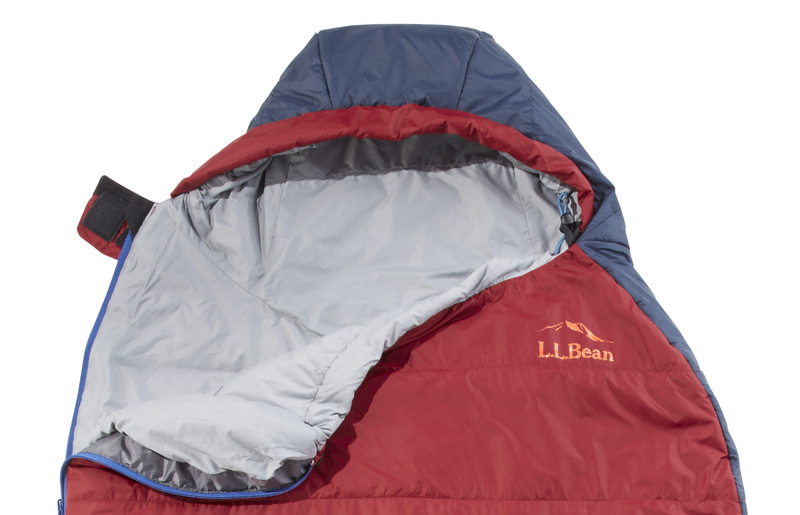 Bean Ultralight Sleeping Bag is available now for $219 regular, $229 long. We hope to spend some nights under the stars in one soon to learn more about this promising new insulation technology.